You don’t have to tell us that Houston is the best city in America! The sense of community is strong here and we are beaming with pride to know that us Houstonians aren’t just feeling this way, it can be backed by science. Brooke Viggiano of Thrillist put together an incredible list to fully put into perspective why our city RULES and other cities don’t stand a chance. Check out these standout reasons Houston is #1. 1. Putting people to work: While numerous other cities struggled to recover from the recession, Houston came back strong. It was the first city to get all of its jobs back its community, managing to add 2 jobs for every 1 job lost. Last year, we even had the highest job creation index score. 2. Space exploration: Mission Control anyone? The Lyndon B. Johnson Space Center, which contains NASA and Mission Control, call Houston home. 3. 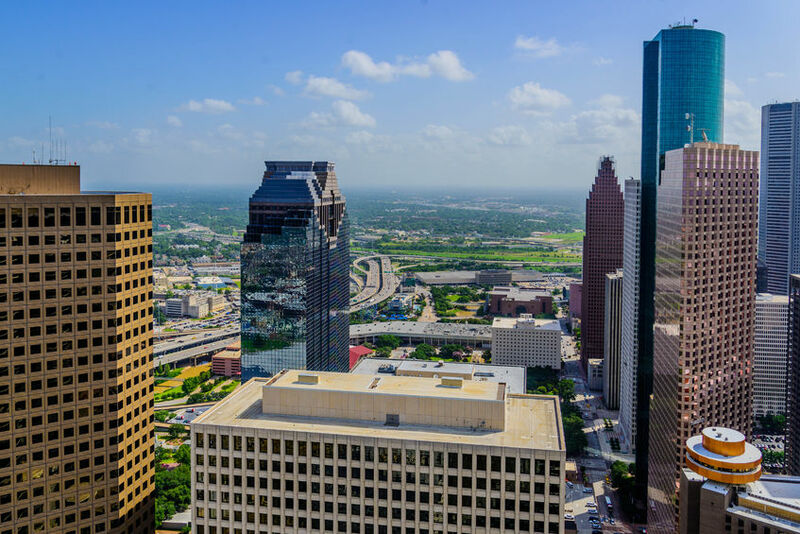 Diversity: According to researchers at Rice University, Houston has managed to beat out both New York and Los Angeles for the title as “the most ethnically diverse metropolitan area” in America. 4. Catering to foodies: If you’ve eaten here already, then it’s no surprise we’ve got the best/most dynamic and diverse food scene in the US. We can easily enjoy crawfish pho, grass-fed Texas beef, chicken vandaloo, and chicharrón tacos all in the same day and possibly on the same block. 5. Parks: Compared to other big cities, Houston’s got the largest green space of parks around, including the newly renovated Buffalo Bayou. 6. Medical achievements: With 21 hospitals, 8 research and academic institutions and 50 related organizations, the Texas Medical Center is not only the largest in the nation, but the entire world. We’d say Houston has the field of medicine beat! 7. Handling business: Our city is crowned with having the most Fortune 500 companies outside of New York, which is able to boast 72 companies thanks to its more than 8 million people. Our 26 Fortune 500 companies are a big accomplishment! 8. Young love: According to Credit Donkey, our city is the best place to be if you are a young couple with hopes and dreams of going the distance. With affordable housing, a low unemployment rate, and a community of other young couples, Houston is able to provide tools for less arguments and stress, helping young love grow. 9. Stretching paychecks: Houston tops the list because of its overall low cost of living—which factors in housing, utilities, transportation costs and of course as Thrillist added, those $2 breakfast tacos. 10. Rodeos: The Houston Livestock and Rodeo is the largest rodeo in the world, featuring live music, carnival rides, deep fried goodies and everything delicious wrapped in bacon, we understand why! 11. Being the best: Just last year, Business Insider named Houston “The Best City in America.” Need we say more? 12. Going global: According to Forbes, by 2023 Houston will be named the next great global city, putting us right on track to be the best city in world! Basically, it’s a joy to call this city home for countless reasons! What’s your most favorite thing about living in Houston? Lived here since 1968 and still could not want to be anywhere else. Everything you can want or need can be found here. Including a few things you don’t want. We couldn’t agree more Richard! Houston just keeps getting better each year, with plenty of surprises along the way. Thank you so much for your feedback, it’s a joy to have your support! Have a wonderful rest of your week! The best thing about Houston is that it always knows what we ‘will’ need! Thank you for sharing such a fun fact Rena! This city always seems ahead of the curve to keep our community thriving. We appreciate you stopping by and hope the rest of your week is nothing short of fantastic! We couldn’t agree more JW, Houston is hands down our favorite city too! Thanks for commenting! Im planning to move to Houston in 2 months and im in the medical field. What are the chances on getting a job as soon as i moved there? Or do i have to put in my app before i get there, but it seems like they look at my add and if its out of state. I dont get a reply. We would recommend calling Houston employment agencies that specialize in medical fields and asking them for advice. This is a great article Sara! Although I live in Pearland, I spent early years in Houston. We are just around the corner! And we have a lot of medical jobs in Pearland! Absolutely, it is amazing how so many excellent communities are building up all around Houston! Houston and surrounding areas are perfect for families, jobs, and fun activities for everyone. Remember, Gallery Furniture delivers to them all! Stay in touch and we’d love to become facebook friends! This is so true about H-Town! I moved here in 2013 and my quality of life has gotten so better. Thank you Houston for being a booming city filled with possibilities and opportunities. Thanks for taking the time to chat with us today! There is no other city quite like Houston! Despite an incredible boom and population growth, Houston has retained the incredible sense of community and warmth!